Inherent Traits began as a yearlong project during which I set out to photograph myself a hundred times. 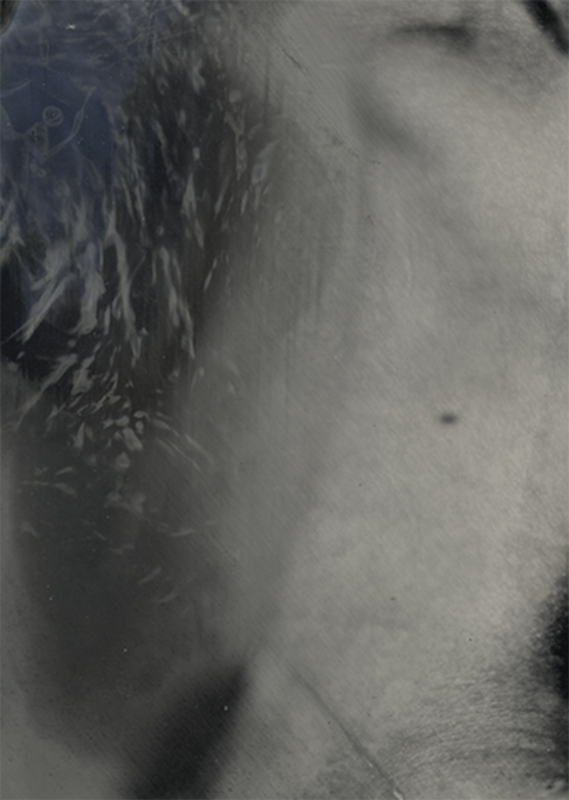 Slight variations in gesture, expression and posture become significant once the photographs are compiled. This kind of long-term methodical reflection allows subjects and themes, which would otherwise be overlooked to come to the surface. The process of photographing oneself can be physically and emotionally uncomfortable, yet the work allows little room for consideration. 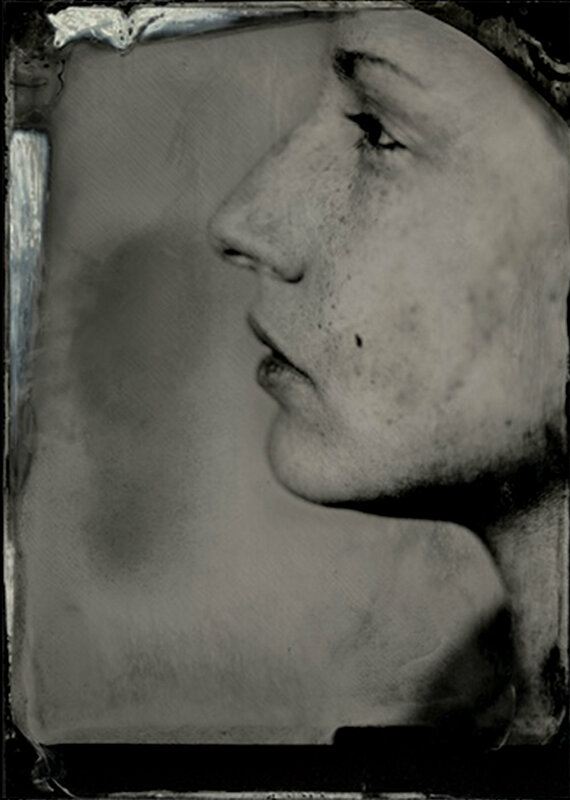 This quick pace during the shooting process combined with the inherent steadfast qualities of the collodion process force an honest approach to the often-deceptive practice of self-portraiture. 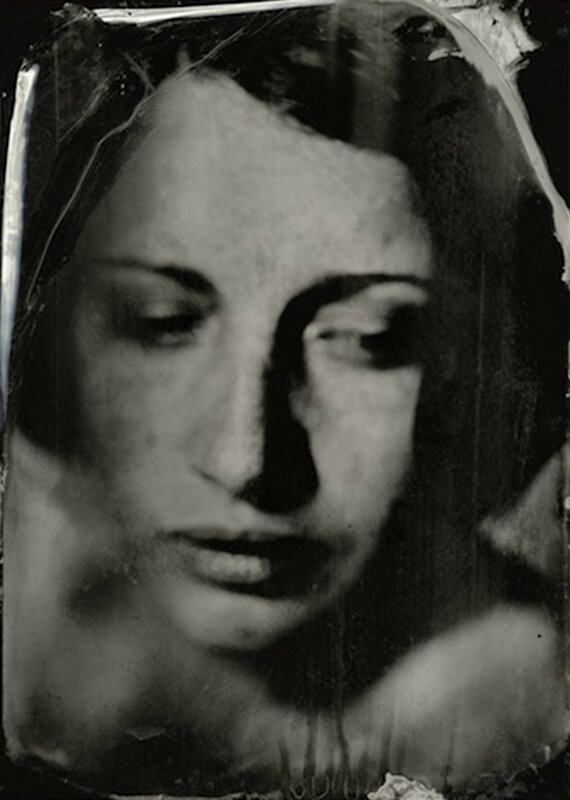 These photographs are made using the wet collodion process, which was introduced in the 1850’s, this involves coating a glass plate with collodion then sensitizing it by dipping it into a bath of silver nitrate, while still wet the plate is placed in the camera and the photograph is made. Within a few minutes of exposure the plate must be developed, fixed and dried in order to create the Ambrotype, a positive image on a sheet of glass.